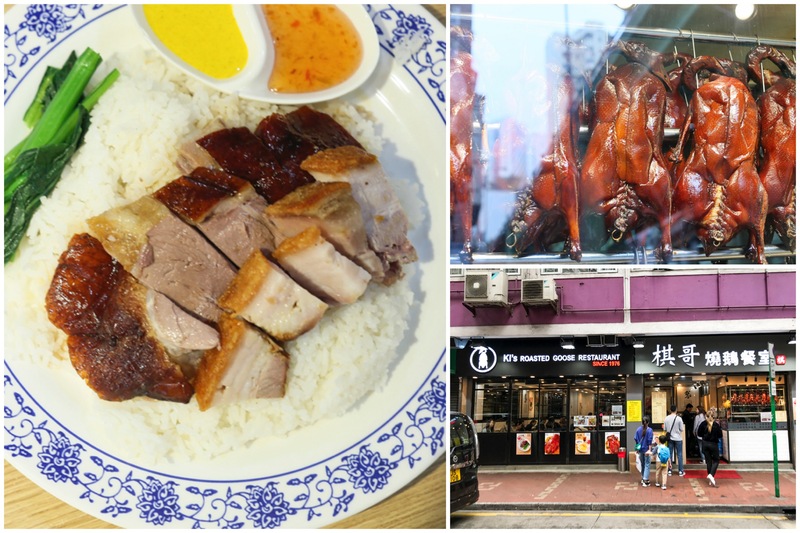 [Hong Kong] Traveling to this part of the world won’t be complete without experiencing the crisp skin and succulent flesh of this bird delicacy. 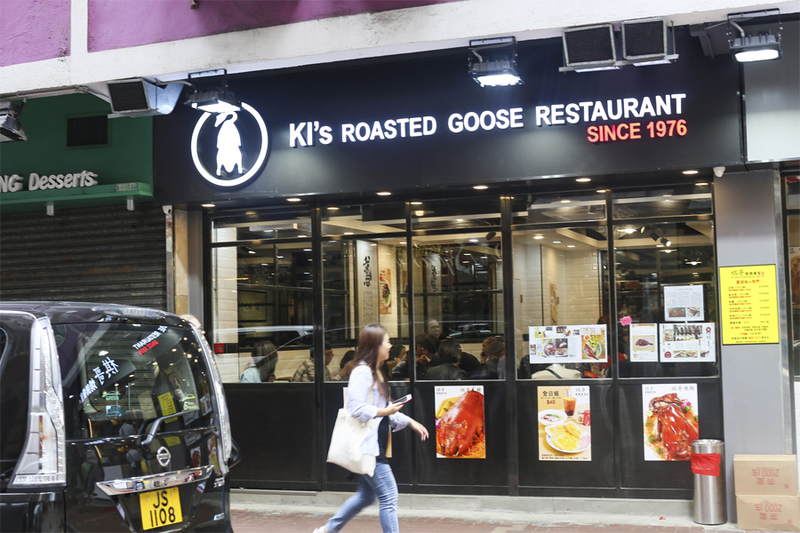 Founded on May 20, 1976, it is one of the go-to places when it comes to roasted goose, undeniably one of Hong Kong’s iconic dishes. 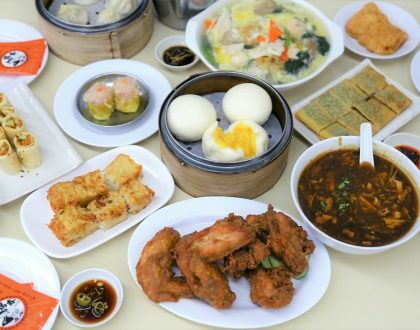 This Guangdong-style restaurant is located near Victoria Park. Electric Road has plenty of eating places and shops, making it an interesting road to just walk along. There is also another Ki’s store along Hennessy Road in Wan Chai. 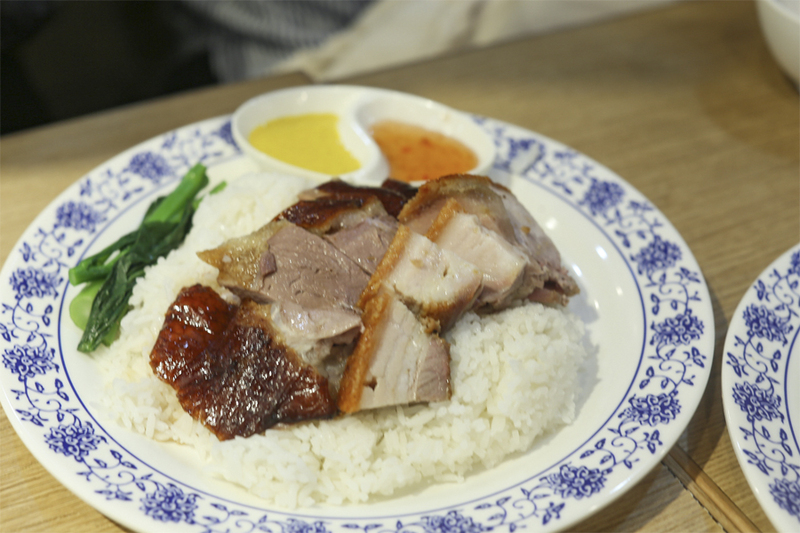 Because they have the same core product, Ki’s is often compared to Michelin-starred Kam’s Roast Goose in Wan Chai. Despite the comparison with more prominent roast meat restaurants, Ki’s offers good value for your money. The façade looks dapper with a black signage with white texts in both English and Chinese. 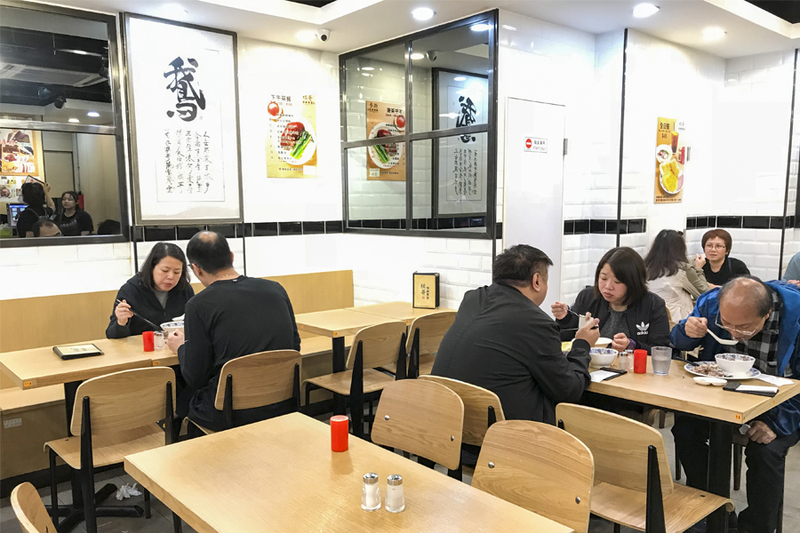 There are menus in Chinese posted on the glass panels, where you can peek to view the diners enjoying their Hong Kong fare with gusto. Now don’t be intimidated if you don’t see any English menu around. They do have one, but you have to ask for it. Inside, tables and chairs are arranged close together. As they say, when you are in Hong Kong expect to share tables with others. The place gets packed, especially during tea time. Of course, it wouldn’t be complete without the line of roasted geese hanging on the display case. Their shiny, crisp skin glistening and enticing you stop, gawk and buy. 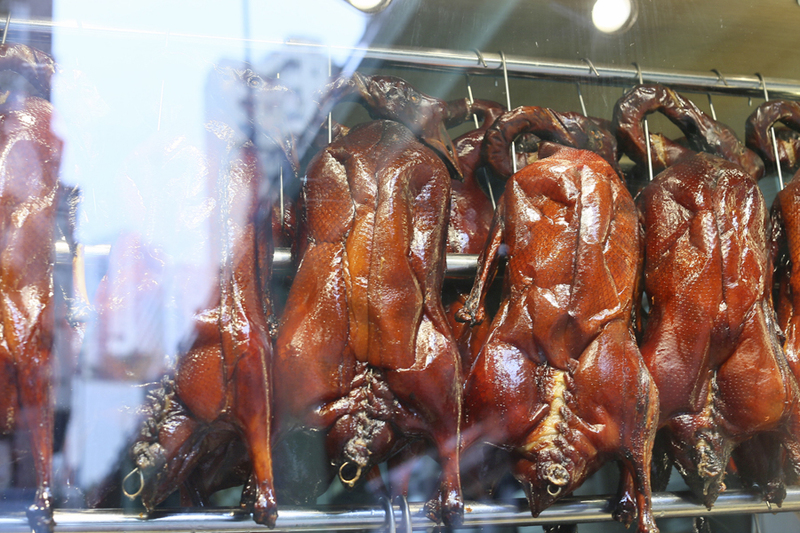 Joining the geese are some plump steamed chicken, roasted pork, and char siu. 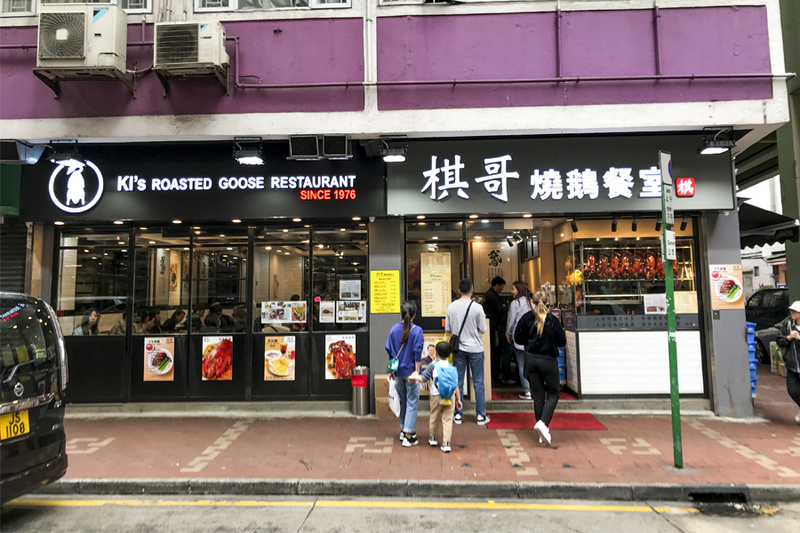 The whole roast goose for HKD498 (SGD83.31). If you are a solo diner, don’t worry. Order a drumstick instead. That should be enough to satisfy your cravings. 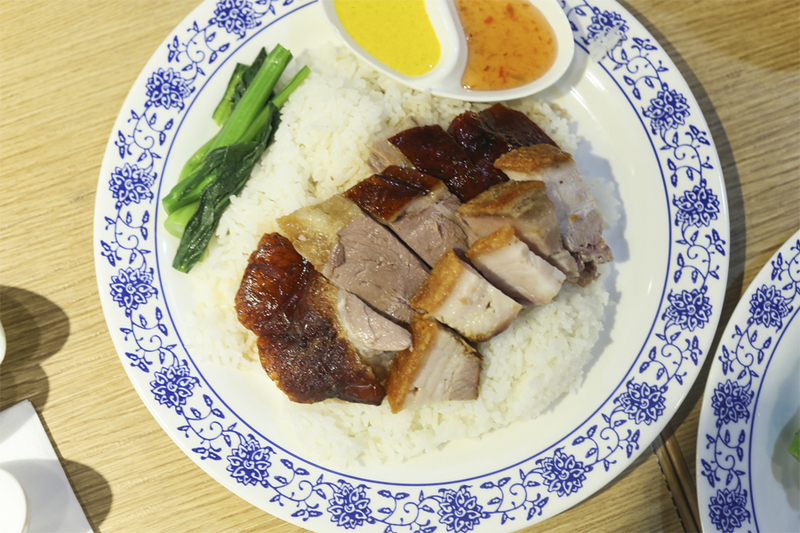 Get Ki’s Roast Goose Leg on Rice, HKD108 (SGD18.07). 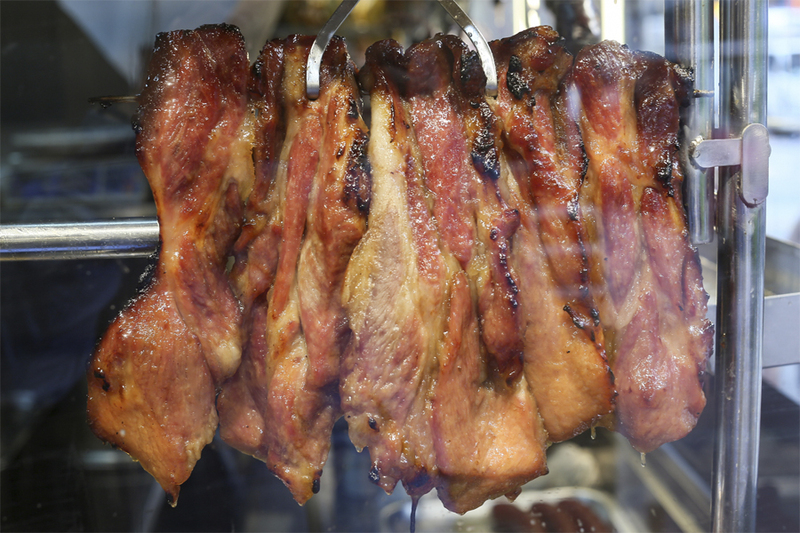 Fans of Ki’s rave about its crispy, glistening skin crackling in every bite, a stark contrast to its tender and juicy flesh. What makes the roasted goose flavourful are the mixture of herbs and spices blended into the roast. Plus, the natural fat in the bird makes its skin crisp and the flesh tender. 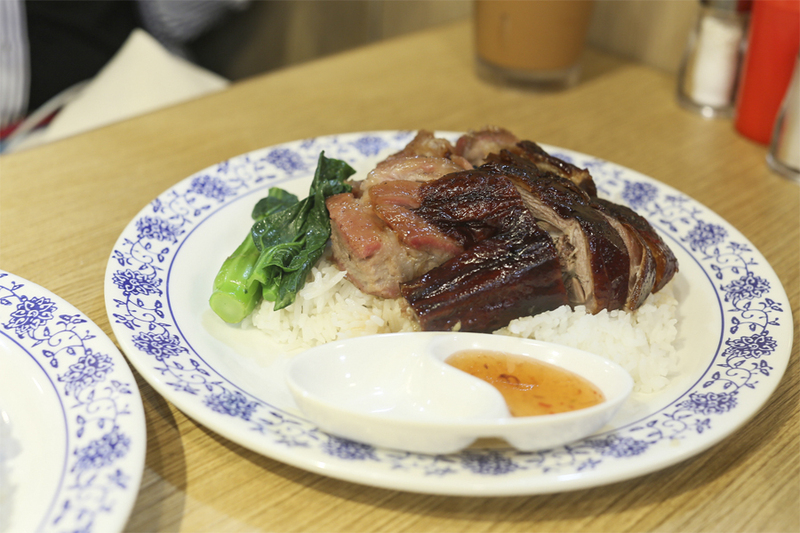 While the name makes it obvious what its signature dish is, there is more to this Cantonese restaurant than roasted goose. For pork, there’s Chinese BBQ Pork a.k.a. Char Siu, Crispy Roast Pork, and Preserved Pork Knuckle. 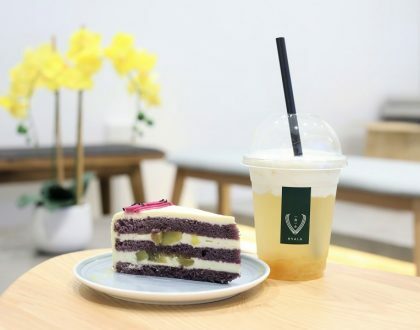 Each is priced at HKD53 (SGD8.87) and comes with rice and a hot drink. To me, the real star was the Char Siu which was a sweeter version than usual, with a pleasurable bite of good proportion of lean meat and fats. And oh, the oil drizzled on the rice. 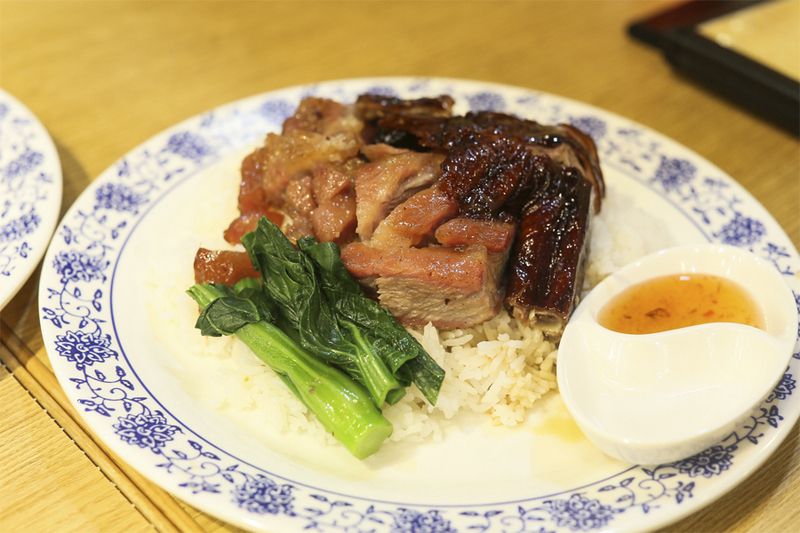 If I had the room, I would have ordered one more plate of the BBQ Pork on Rice (HK$53, SGD8.85). 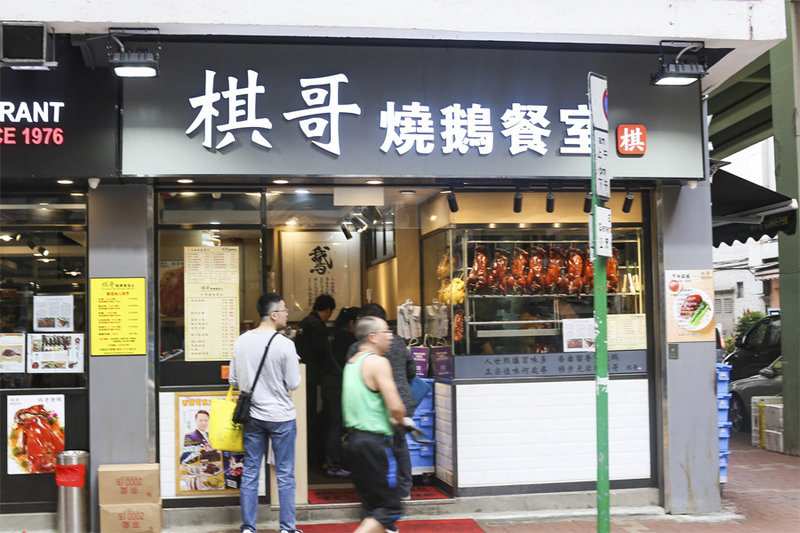 The Roast Suckling Pig is more premium priced at HKD63 (SGD10.54) for the rice meal, and HKD668 (SGD111.75) for an entire suckling pig. 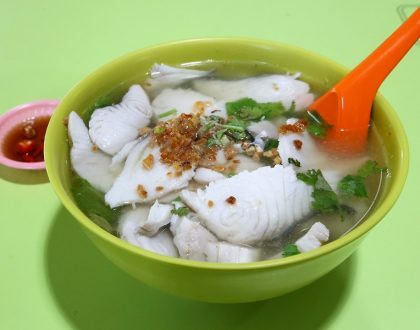 Should you prefer chicken, opt for the Steamed Chicken or Soya Chicken. For the really fussy ones, i.e. you can’t make up your mind, there are combo meals available for you. Simply pick any 2 from the selection, you’re good to go. Rice can be changed to noodle, by the way. 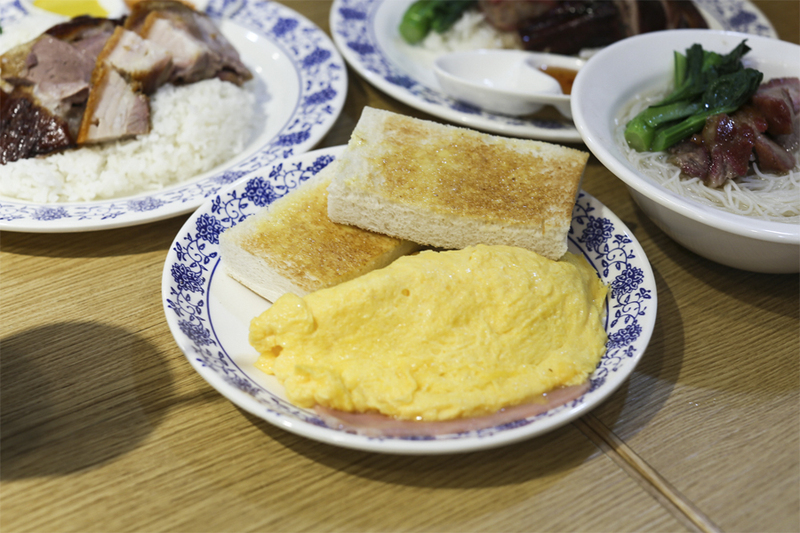 It was quite unexpected to find Cha Chaan Teng style meals here, with Char Siu Noodles, Toast and Egg and a drink together at a set going at (HK$45, SGD7.52). But it’s not all rosy. Some diners are baffled with the long line of people when they didn’t find anything extraordinary with the roasted goose. No doubt, Ki’s extremely popular among the locals – they come, order, eat, and leave. When paying, hold the plastic. Be ready to pay with cash.